On Thursday, Julia Louis-Dreyfus, who you probably know from Veep or Seinfeld, took to Twitter to announce that she had been diagnosed with breast cancer. She stated, "The good news is that I have the most glorious group of of supportive and caring family and friends, and fantastic insurance through my union." She went on to note that many women do not have the opportunities she has, announcing that she would also be fighting for universal healthcare, which Senator Bernie Sanders has introduced as a bill in the Senate. 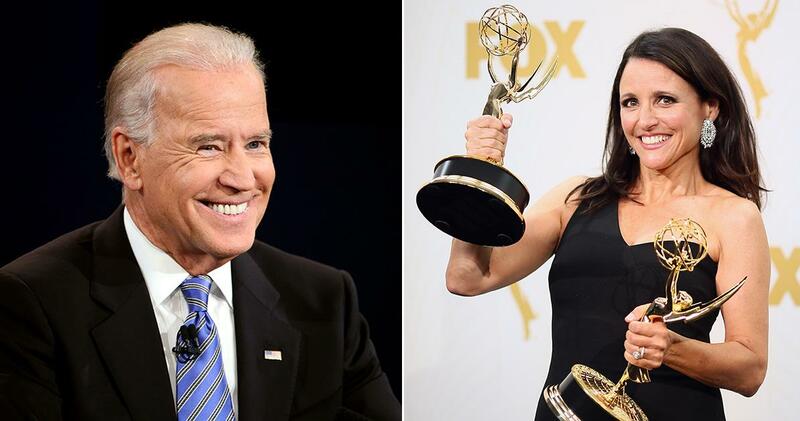 Dozens of personalities have responded to Louis-Dreyfus' announcement, but perhaps the sweetest came from her real life counterpart, former Vice President Joe Biden. "We Veeps stick together," he wrote in a tweet. People were kind of in tears. I miss the class he brought to this country. We love our Veeps! Miss u Uncle Joe! Stay strong Julia! Love you both so much it hurts.